There are mixed feelings about this one. 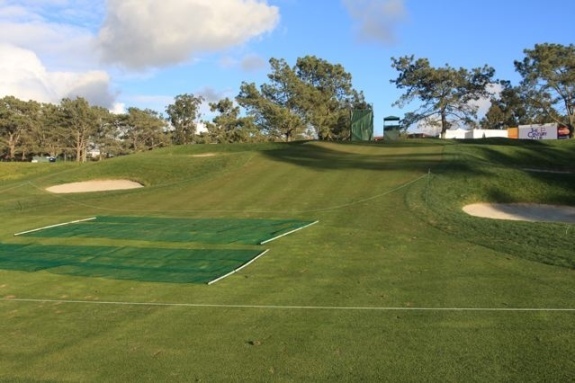 I love that balls with too much spin might come back down off of #13 green at Torrey Pines South. And superintendent Candice Combs is wise to protect this collection area...of sorts, with netting and ropes. But something also is just not right when there's a need to cover an area to prevent a sea of divots. In this case, the weak turf in the approach, which appears to be the product of lousy soil, seems to be making it too easy for balls to spin off the green, down the hill and to this ledge.